Islamabad: Could the Bhutto legacy be in peril? Pakistan People's Party founder and populist demagogue Zulfikar Ali Bhutto won the polls to become the Prime Minister of Pakistan in 1971. ZAB's daughter Benazir Bhutto waltzed into the PM’s House in 1988 after her first run at the hustings. 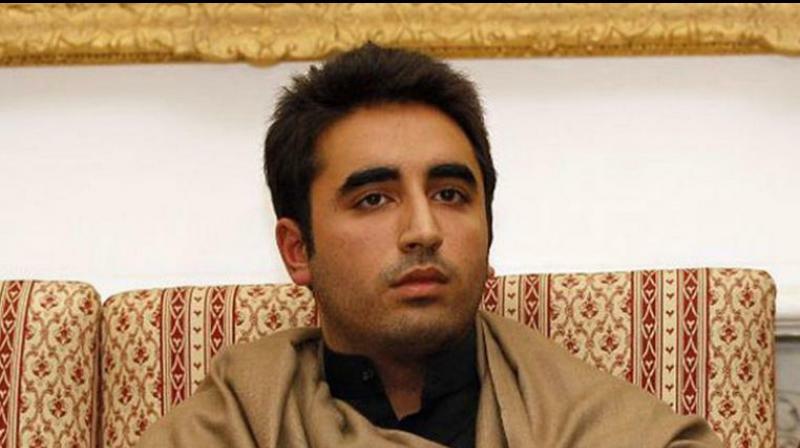 Third generation Bhutto, the 29 year old Bilawal Bhutto Zardari may have to wait a while longer. Not only has Bilawal’s Pakistan Peoples Party (PPP) under his father Asif Ali Zardari won a mere 43 seats in the National Assembly after this month’s polls, he lost the PPP stronghold of Lyari, finishing a dismal third in a seat from which his mother had won repeatedly since the 70s. He lost Marakand, the other seat he stood from, although managing to retain the PPP stronghold in Larkana. Both losses were to candidates from the rising star, the Pakistan Tehreek-e-Insaf party of Pakistan's prime minister elect Imran Khan. Across Pakistan, the PPP, which had set its sights much lower and did not realistically even expect to form the government, has dropped to the bottom of the table in this three-cornered contest with Imran Khan's victory representing an end to decades of rotating leadership between the much vilified dynastic parties, the PML-N and the PPP, punctuated by periods of military rule. Where does that leave the young Bhutto? And the PPP? Clearly, the moniker 'kingmaker' a misnomer. The PPP fell short of the power game by some 10 seats, robbing it of any aspiration to become a real player. The PTI clinched enough extra seats that made it unnecessary to even reach out to the PPP. With 115 seats, the PTI will look to attract smaller parties, to form the government. Bilawal will anyway reject any collusion with the PTI, that was seen to be the beneficiary of the alleged rigging that powered its victory, and which is the basis of the plans by the united opposition to launch a protest campaign against the polls. That PTI chief Imran Khan and Bilawal Bhutto hold similar views on ties with India, and are seen as overtly more aggressive towards New Delhi when compared to Nawaz Sharif, the jailed leader of the Pakistan Muslim League (Nawaz). But that's largely irrelevant this time. The PPP had never seriously expected to win the 2018 polls or see Bilawal Bhutto ensconced as the Prime Minister. That's the goal for 2023. The next five years is aimed at giving Bilawal the experience of being a parliamentarian in the hope that the Bhutto name will sustain his and the party's popularity, revive the PPP in Punjab and possibly come to power in 2023. For now, the leader of the opposition slot will also go to the PML-N as it has won the second highest number of seats in the National Assembly with 64 seats. Bilawal has already fired the first salvo. “PML-N is a branchild of (former military ruler) Ziaul Haq and PTI of (Pervez) Musharraf,” he had recently said, hitting out at PTI chairman Imran Khan and PML-N president Shehbaz Sharif. In a bid to cut the Punjab elite to size, the party promised a new province of Seraiki, to be carved out of Punjab in its manifesto, to ensure that it retains its base in the southern Seraiki speaking district, which is traditionally pro-PPP. In 2008, the PML-N won 126 seats, the PPP 33 and the PTI, a mere 26. This time around, the PTI won 116, the PML-N 64 and the PPP 43. There's no telling whether the PTI will go from strength to strength or crumble in the next few years. Either way, the PPP — and Bilawal — will be hoping that becoming the voice for change will help it shed the dynastic tag and win back the people’s vote.